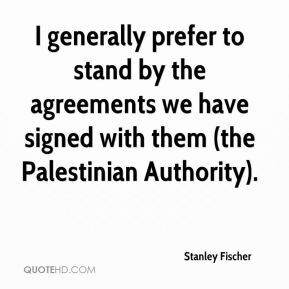 I generally prefer to stand by the agreements we have signed with them (the Palestinian Authority). 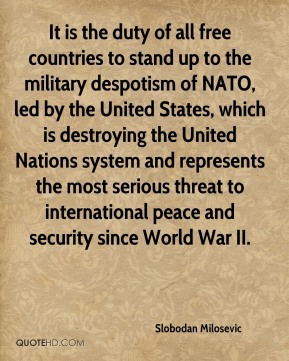 It is the duty of all free countries to stand up to the military despotism of NATO, led by the United States, which is destroying the United Nations system and represents the most serious threat to international peace and security since World War II. 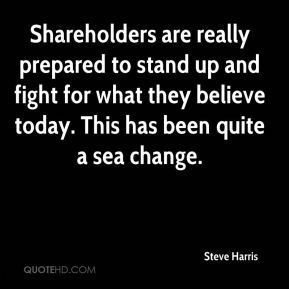 Shareholders are really prepared to stand up and fight for what they believe today. This has been quite a sea change. 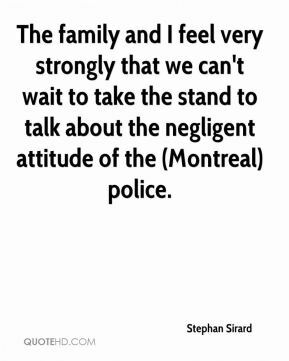 The family and I feel very strongly that we can't wait to take the stand to talk about the negligent attitude of the (Montreal) police. It is time to stand up and begin questioning the president's leadership, ... 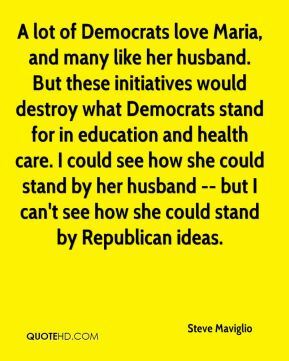 I think the Democrats need to do that. . . . 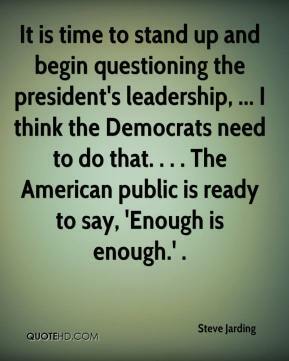 The American public is ready to say, 'Enough is enough.' . 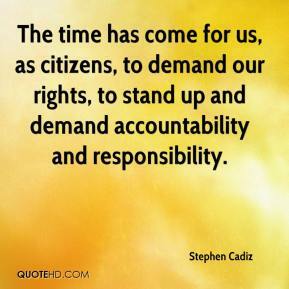 The time has come for us, as citizens, to demand our rights, to stand up and demand accountability and responsibility. 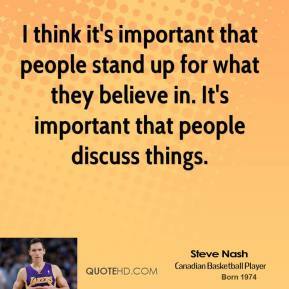 I think it's important that people stand up for what they believe in. It's important that people discuss things. If you stand at any major intersection . 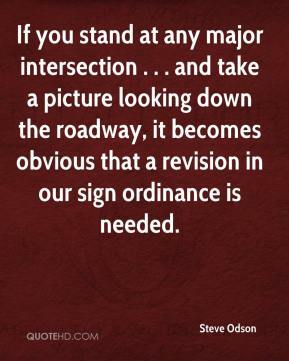 . . and take a picture looking down the roadway, it becomes obvious that a revision in our sign ordinance is needed. 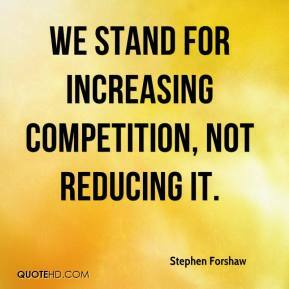 We stand for increasing competition, not reducing it. 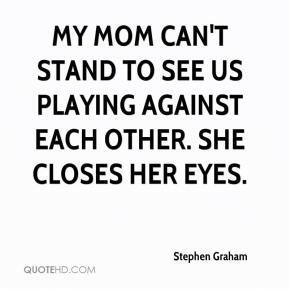 My mom can't stand to see us playing against each other. She closes her eyes. 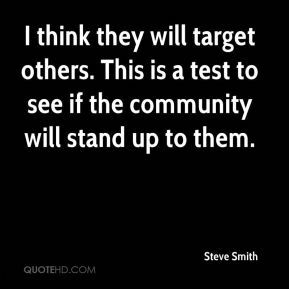 I think they will target others. This is a test to see if the community will stand up to them. 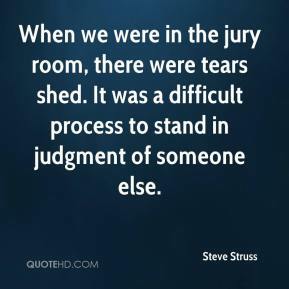 When we were in the jury room, there were tears shed. It was a difficult process to stand in judgment of someone else. 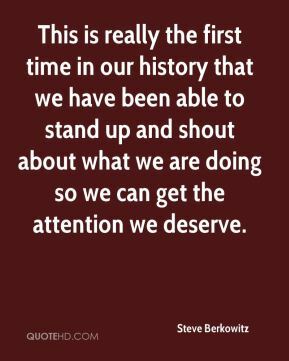 This is really the first time in our history that we have been able to stand up and shout about what we are doing so we can get the attention we deserve. 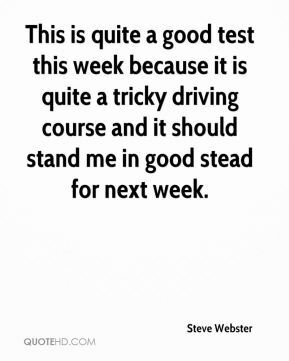 This is quite a good test this week because it is quite a tricky driving course and it should stand me in good stead for next week. 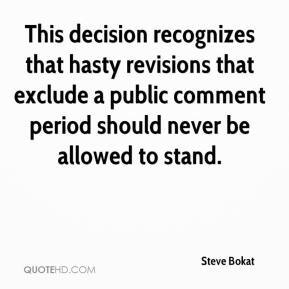 This decision recognizes that hasty revisions that exclude a public comment period should never be allowed to stand. 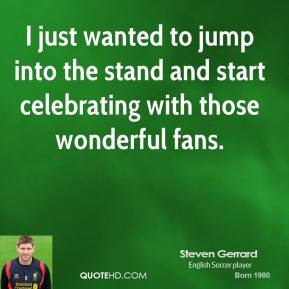 I just wanted to jump into the stand and start celebrating with those wonderful fans. 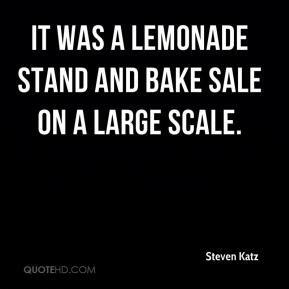 It was a lemonade stand and bake sale on a large scale. 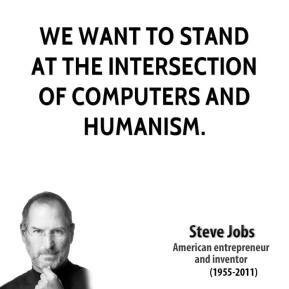 We want to stand at the intersection of computers and humanism. 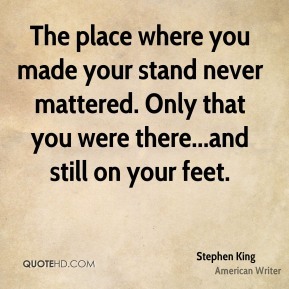 The place where you made your stand never mattered. Only that you were there...and still on your feet. 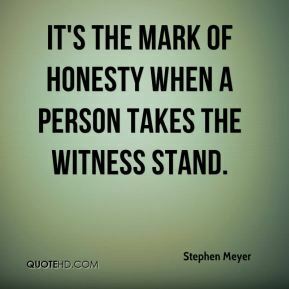 It's the mark of honesty when a person takes the witness stand. 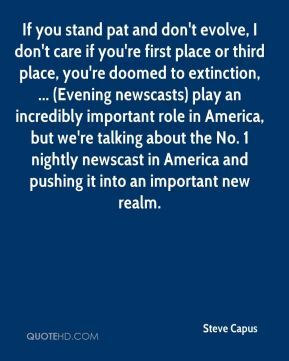 If you stand pat and don't evolve, I don't care if you're first place or third place, you're doomed to extinction, ... (Evening newscasts) play an incredibly important role in America, but we're talking about the No. 1 nightly newscast in America and pushing it into an important new realm. 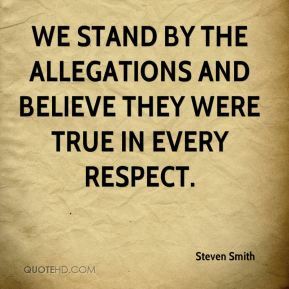 We stand by the allegations and believe they were true in every respect. 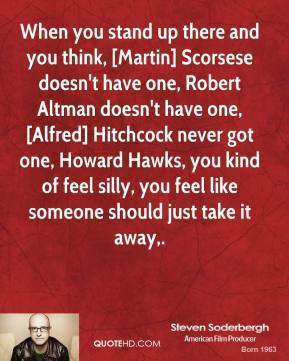 When you stand up there and you think, [Martin] Scorsese doesn't have one, Robert Altman doesn't have one, [Alfred] Hitchcock never got one, Howard Hawks, you kind of feel silly, you feel like someone should just take it away. It also clarifies that it is illegal for counterfeiters to sell counterfeit labels, patches and medallions as stand-alone items, to be affixed later by others to fake products. 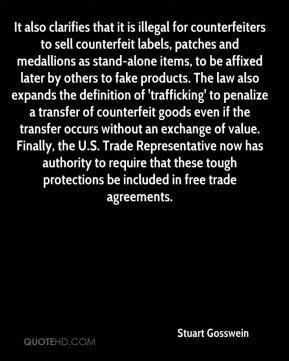 The law also expands the definition of 'trafficking' to penalize a transfer of counterfeit goods even if the transfer occurs without an exchange of value. Finally, the U.S. Trade Representative now has authority to require that these tough protections be included in free trade agreements.